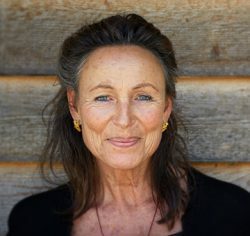 Annette Kaiser was born in Zürich/Switzerland in 1948. She is a spiritual teacher, visionary of an Universal Spirituality and author of more than ten books. After completing her studies in economics and sociology, she worked for many years in the field of development cooperation. Her special field were the women`s cause and intercultural dialog. During 17 years, she was a student of Irina Tweedie, an Anglo- Russian Sufi-teacher. In the late 1980`s Annette Kaiser opened her Tai Ji DO-School, training teachers during 20 years. Since 1998, she is authorized by Mrs. Tweedie to continue the Naqshbandiyya Mujaddidiyya Sufilineage, guiding human beings on the path of love. In the year 2000 she developed the „DO-path“ teaching and inspiring people in a non-dual cosmocentric understanding. She is particularly devoted to transconfessional and transcultural evolutionary spirituality, which implies an open aware state of being as the natural expression of an integral way of living in a very deep sense. This way is leading into Universal Spirituality and Universal Cooperation as Not-Two. In both areas Annette Kaiser initiates and participates in many ways with different groups, centers and human beings in Europe and worldwide. She sees the 21st Century as a call for humanity to recognise itself as inseparably One, co-creating a new culture in collective wisdom and love of One Heart. She is married, mother of two adult children and grandmother.